It was clear to the Surrey Magistrates in 1875 that the two County Asylums at Springfield and Brookwood were unable to provide the number of beds needed for the pauper lunatics. This caused the County to place their lunatics either within the Poor Law Unions, or within other County Asylums and private asylums around the country, with much expense to Surrey. The Magistrates set about investigating the need for a new asylum and quickly determined that a new asylum was needed, and that it would reduce the cost of Pauper Care significantly, even with the construction costs, which were estimated to be £150,000. This study also deemed that an asylum with a maximum population of 1000 patients would ease the over crowding. And with the east of the county not having easy access to the current asylums, it was decided to build the asylum there. The Magistrates selected a site in the Surrey Hills close to the growing borough of Croydon and overlooking the small village of Coulsdon on the boundary of the Portnalls estate. The land purchase, for an unknown sum, covered approximately 200 acres and offered excellent transport links with a new station being built a Coulsdon – opening 1889, and its proximity to the Brighton Road. The Asylum was to be designed by C.H.Howell, Architect to Surrey & the Lunacy Commission, and employed a radical new layout to the buildings. Instead of following the typical corridor, or dual pavilion format of the day, the central services were placed at the centre of the site, with the wards radiating around them from a u-shaped corridor, giving the hospital a very noticeable horseshoe shape. This allowed for a very good and fast communication of staff, patients and services around the site. It also allowed the hospital footprint to be very compact, allowing for a maximum number of buildings to be used. The layout became known as the radiating pavilion layout, one other example of this layout exists at Whittingham Hospital, although there are differences between them. This layout was criticised by Sir Henry Burdett in his Annual publication, Burdetts Hospitals, saying that the layout caused the buildings to become very cramped and restricted. This was because between the large three storey wards, Howell had placed smaller two storey wards. These smaller wards were bisected by the corridors, with the day rooms being placed on the inside of corridor, in an attempt to allow light into the wards. One of the main drawbacks to the site was the because of the aspect of the buildings, facing to the southeast, full daylight was not able to enter the buildings. 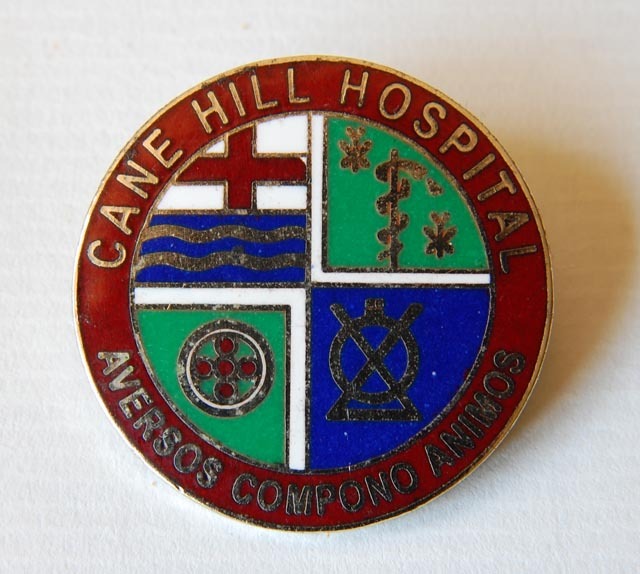 Cane Hill was founded in 1880 and opened on the 4th of December 1883 to serve the paupers of Surrey County, at the start it was able to house 1124 patients – 644 female, 480 male, with the females to the west . When the London County Council was formed in 1888, the control of the site was handed to London County Council and they commissioned C.H. Howell to extend the Asylum further. This extansion allowed the Asylum to hold up to 2000 patients, although it is evident from plans dating 1882 that Howell had already foreseen this extension. This extension was completed in 1888, with extra wards being added to the rear of the hospital for both the male and female sides, the extension can be seen in the plans to the right. Interestingly, there were eight different designs of ward at Cane Hill; this allowed the hospital to cater for the maximum class of patient, such as Sick, Acute, Epileptic and Chronic. 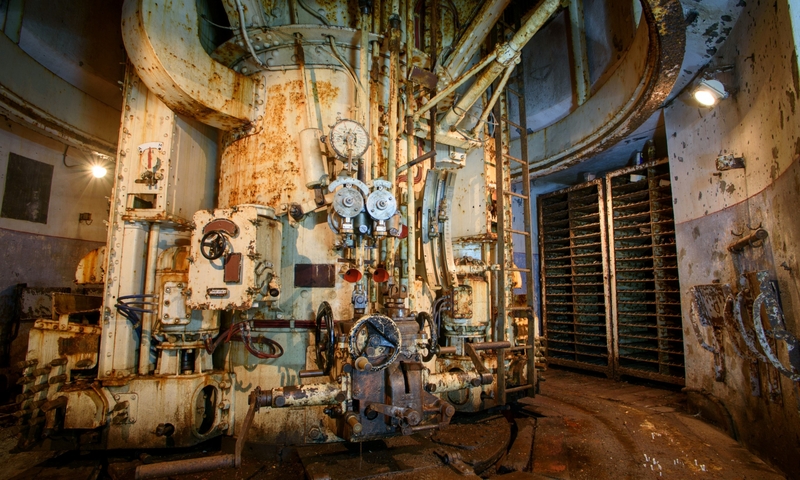 The site remained unchanged for 80 years until in the 1960’s a nurses block was built to the north of the site and a new purpose boiler house was built in the 1980’s. The hospital finally closed in 1992 after 110 years of mental health service the highest patient population it served was 2400 in 1954. The final design received praise from an unexpected place, the state legislator of Pennsylvania was considering construction of their first asylum and looked across the Atlantic for inspiration. Daniel Tuke, one of the countries leading psychiatrists, was contacted and asked to provide help and assistance. He did this by sending descriptions and plans of the countries leading Asylums, for this he chose Cane Hill. The site did not undergo extensive extension like other institutions around the country. In 1956 a new industrial therapy unit was built to the south of the site, with a nurses block being built to the rear of the site for female staff. In the 1980 a new and modern boiler unit was built in an attempt to cut the running costs of the hospital. Although these additions did not forestall the closure of the hospital, which finally closed its doors in March 1991. Since the closure of the site in 1991, the hospital has stood empty and become severely damaged through natural decay and arson. Over the 18 years of the buildings standing derelict, the authorities have argued over what to do with the site as it stands within the London greenbelt zone. This caused the buildings to suffer from untold damage. In 2007 an effort was made to get the buildings listed with English Heritage, but this was declined for many reasons, with only the admin, chapel and water tower being considered for conversion. As of June 2008, Squibbs and Davies have moved onto the site to commence demolition. Below is some information that is related to the Cane Hill Hospital.